Dr. John Runningwolf [writing as John Currahee on the blog] a retired university professor who writes the blog as a service contacted me about Connestee Falls street names. His site is totally non-commercial, has no ads, is totally free of any and all intrusive material, and which is purely for the information of anyone interested. Below is the information taken from Dr. Currahee’s Blog. The street names are taken from the names of historical Cherokee towns or places, animals, birds, and famous Cherokee leaders. Here, I am going to list the names of all the streets. For each one, I will give a phonetic spelling that could be used by Connestee residents to help with pronunciation. The pronunciation is intended to preserve at least the flavor of the Cherokee sounds, but it will be one that can be spoken by modern English speakers. 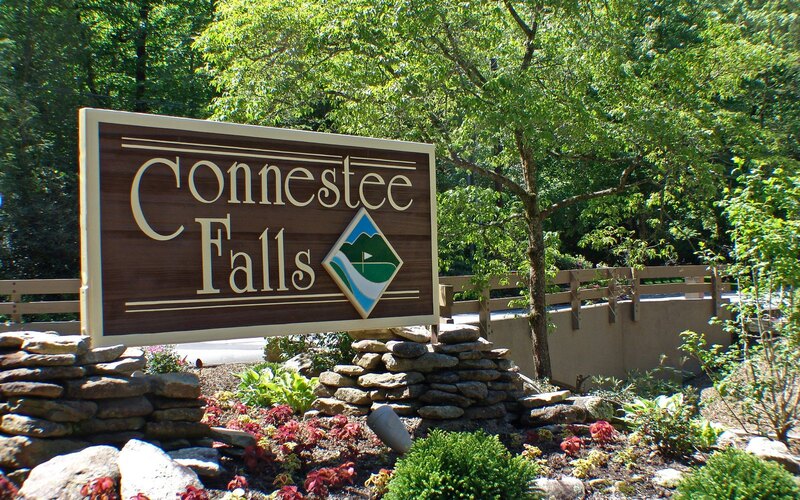 I hope it will be a helpful guide for Connestee Falls residents and visitors. Moytoy [MOY-TOY] (perhaps ma-ta-yi): Cherokee chief in first half of the 18th Century. Meaning of the name is unknown. Tawsee [TAW-see] (to-si): Name of a Cherokee settlement in Habersham County, GA. Meaning unknown. Warwaseeta [WAR-wah-SEE-ta] (wa-wa-si-ta): Said to the old Cherokee name for Pisgah Ridge in Haywood County, but I cannot document that. Many thanks to Mike Heiser, who kindly provided me with a working list of the street names. Any errors of comission or omission are my fault and not his.